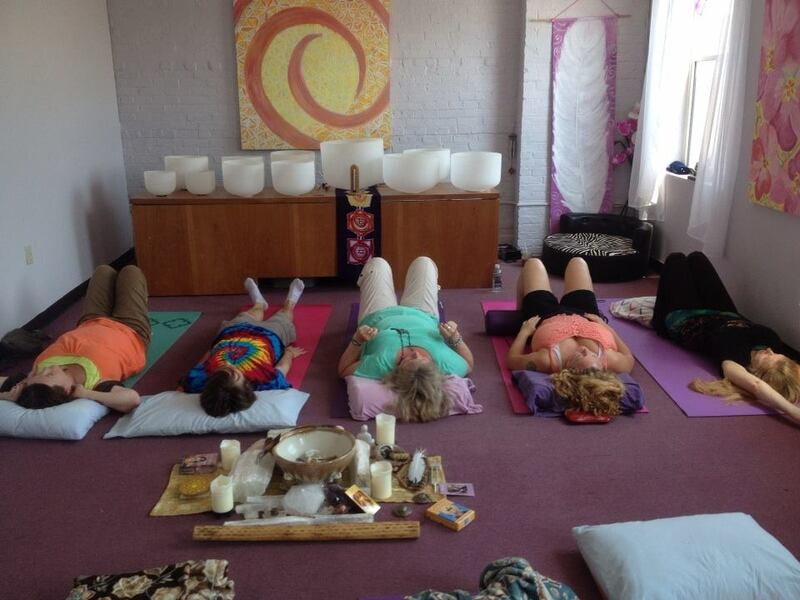 Come up the stairs to True Light Healing Center to receive a whole body re-balancing with Quartz Crystal Singing Bowls. Experience the therapeutic benefits of Sound Healing as you relax on a Yoga Matt while the pure tones of the bowls wash over you and vibrate deep into the cellular level of you body to relieve stress while balancing your subtle energy fields. Experience the higher frequency transmissions that will soothe your nervous system and leaving you feeling relaxed and rejuvenated. Stress is the underlying cause of many physical conditions, and it melts away with ease when you are bathed in a sea of sound healing vibrations. The sound of crystal singing bowls reaches deep into the depths of the subconscious to cleanse away emotional blockages and limiting thought forms. This is Free Service offered to benefit our community. ALL WELCOME ~ Bring your friends! Donations are gratefully accepted but by no means expected. I offer this service for those who are interested in experiencing energy work and for individual healing in a group space. It is encouraged to come often for long standing results. Please be sure to join our mailing list and check our calendar as this event is occasionally canceled last minute due to weather or unexpected responsibilities. SAVE $360 WITH A PACKAGE DEAL- 12 MONTHLY SESSIONS ONLY $720 - can be paid in 3 installments of $240.